Floor tiling is one of the activities that many people find not so difficult to carry out or pay less attention to the details when hiring a person to do it for them. My experience to the moment has shown that there are a lot of cases when only a short period after the tiling has been accomplished, the floor looks as it needs a renovation – the gaps are not even or not regularly filled, grout is crack, tiles are not even, tiles are shaking and so on. 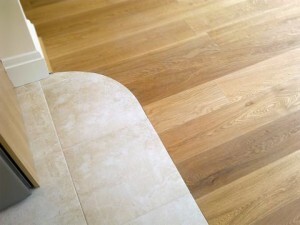 It is very important the sub-floor to be prepared well and use the right adhesive for the different type of sub-floor. I do recommend use of underlay mat Schluter-DITRA or Dural mating system. And as you know, the tiling is a dirty job that could make your life a mess for a week, so probably you wouldn’t like to do it each year. Bencho Building Service possesses all the professional equipment and expertise needed to fulfil a floor tiling task, no matter the size and the purpose of the room. I take a good care of details and work on the customer’s property as if it were mine – no compromise with the quality of the job and time schedule followed to the hour. After the tiling is done you will find the premise as tidy and bright as new, for I want my customers to focus on other things than cleaning and tidying. 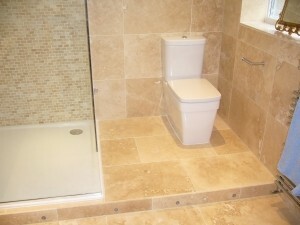 Wall tiling has some very important prerequisites in order to achieve the best results. Most of all we have to confirm that the tiling surface is smooth, even, and prepared for the tile glue mixture. It is absolutely not admitted to tile over wall-papers, and it is also not advisable to put tiles over paint. Bencho Building Service offers not only the wall tiling service, but also the preparation, so I could guarantee the best results. My familiarity with the tiling business gives me the opportunity to advice my customers on selecting the best tiles in terms of quality for a good bargain price.